During the Reconstruction of the Untied States, three amendments were passed to help the newly freed African Americans from the Civil War. The first of these Amendments, the 13th, was put into action in December of 1865. The main purpose was to completely abolish the remnants of Slavery in america. It made the unwilling labor for any reason than just punishment illegal. Coming soon after was the 14th in July of 1868. This amendment guarantee the rights and security of free people. The south would be punished for denying anyone the right to vote. The final amendment in this era of our history was the 15th. 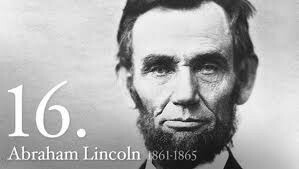 Passed in February of 1869, the 15th amendment guaranteed the right to vote to all Americans. This combination should have completely freed the African Americans of the time from the chains holding them down in the south. Multiple plans of reconstruction were in thought at the time of the near ended war and afterwards. Abraham Lincoln believed in going lightly on the south. All he ever wanted was to bring our nation back together without any more blood shed. Not much of his complete plan is known, other than peace, due to his passing. 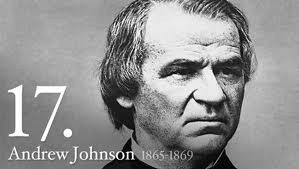 After taking over for the deceased president, Andrew Johnson was the one to put in practice what the reconstruction was to look like. Johnson was a racist of all things. He favored the south and so was going to go extremely easy on them. Only a small percent were to promise against rebellion. Constitutions written after the federal. Back into the country they would be emitted state by state. The Congress however did not approve of Johnson's actions and wanted the reconstruction to be a tad bit more difficult. They looked to have a greater percent of the southern states have to take a peaceful oath. They wanted the state constitutions strictly in step with the federal. The thirteenth and fourteenth amendments were to be ratified. Until doing so, the south was under military supervision. Eventually parts of all the thoughts were put into action to help grow the country back to its grand self. The Black Codes restricted the rights of African Americans in the south. This went completely against what was to be done with the government and society of the country. Blacks were limited in multiple ways in their ability to vote in the south. With such systems as Sharecropping, the south restricted and kept the south from moving on from slavery. They kept African Americans working as "Free Slaves." They were limited the same if not worse under this system. Discrimination was practiced daily in the southern region of america. Although documents were in place to attempt to keep the country peaceful, Southern states went along and passed a Jim Crows Laws. These laws basically made it legal in the south to discriminate against African Americans. With seeing this happening, congress passed a Civil Rights Act of 1875. This was as simple as saying that segregation was still illegal and all who practiced would be punished. Sadly this Act was hardly enforced for over ninety years. 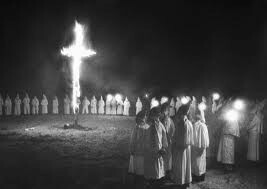 The south, being the racists they were after the Civil War, had a group called the Ku Klux Klan. The KKK was a group that did everything in their power to keep down the African Americans. Legal or not, they were not going to put up with the newly freed slaves. Actions were taken against this treacherous group, but they went after all those who attempted to help the African Americans, thus isolating them a tiny bit from the rest of society. African Americans did not just sit down and take this beat down. They fought to get political positions in the government and then change what was happening. Some fought with protests and violence, while others wanted the race to work up the ranks in political and economical society and take over and change the country from there. The election of Rutherford B. Hayes was a great debate between Democrats and Republicans. The parties fought over who was to win the election constantly. Int he end Hayes won by one electoral vote. Democrats who not except and protested. To solve this, Republicans and southern Democrats struck a deal known as the Compromise of 1877. This made Hayes president with the removal of remaining military forces in the south. With no protection, Reconstruction groups were left to crumble, thus ending the Reconstruction.